CUE cake, candles and Champagne: the Olive Press’ Property magazine is celebrating its first birthday. Since launching in March last year, we have built up to a regular 24-page bi-monthly pullout, supported by the cream of the coast’s best agents, architects and developers. And over the six bumper issues, we have broken countless exclusive stories and given readers the inside track on the property market, its growth and its many complex issues. 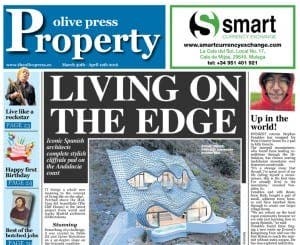 From the sale of Eurosceptic Robert Kilroy Silk’s €12m Casares pad, and former Prime Minister Jose Maria Aznar’s ‘illegal’ wall in Marbella, to Salma Hayek’s campaign to protect La Almoraima estate, and the best green properties in Spain, we covered the lot. And in this issue we give you a peek around Spain’s priciest house (make that fortress) and Status Quo rocker Rick Parfitt’s Alhaurin pad… yours for €1m – gold discs not included! Meanwhile our Kick Out the Kickbacks campaign saw one of Marbella’s biggest law firms taken to court and continues to expose the practice of lawyers giving estate agents ‘backhanders’. And our Olive Press Property Observatory, launched in January, will be bringing together a think tank of property experts two or three times a year. The sun is coming out, the tourists are back and the property market is going from strength to strength. 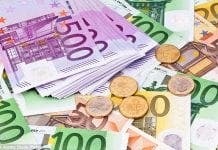 It should be a bumper year ahead for everyone in the property industry! Thanks to all the key movers and shakers, including Taylor Wimpey, Winkworth, PropertieSpain, Property Overseas Group and Andalucia Development, who have supported us from the beginning. We are gearing up for an exciting year – we hope there will be plenty more of you joining in our success story!